Back in 1971 David Bowie wasn’t the super star that he would go on to become. 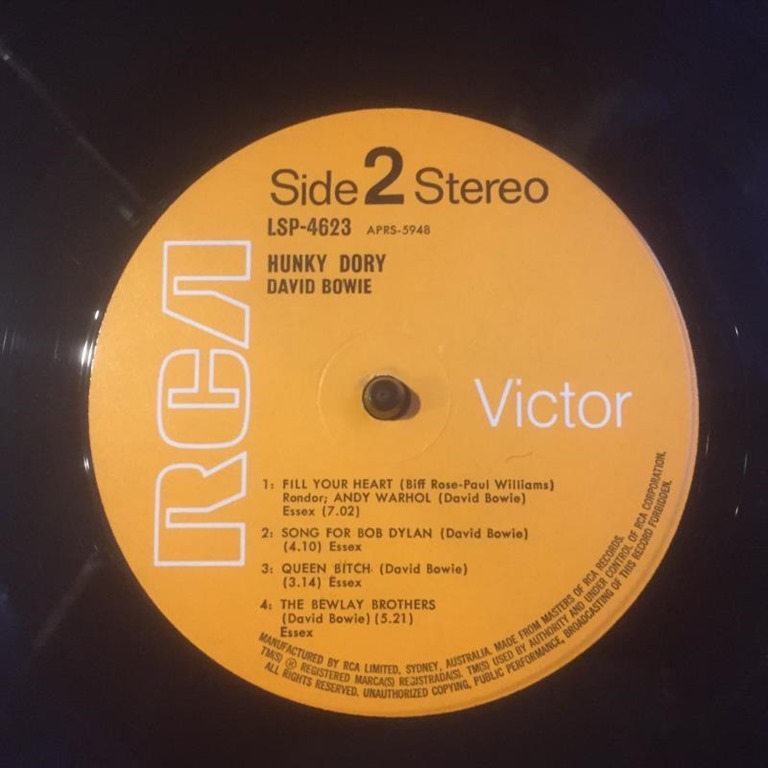 In fact, as acclaimed as “Hunky Dory” is today, it was the work of a reasonably unheralded artist when it was recorded and initially released. 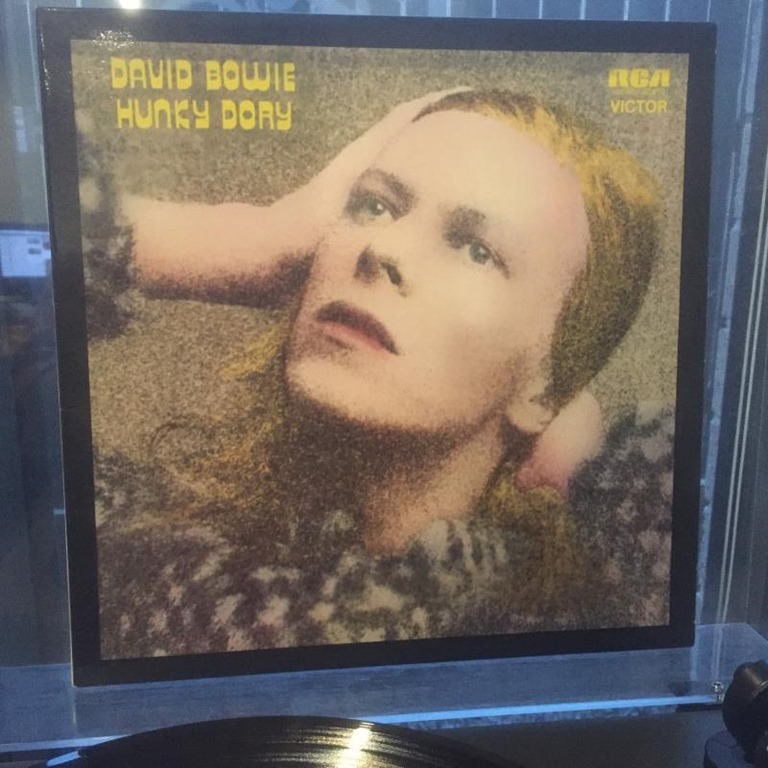 In fact, it took the sensational success of Bowie’s next album, “The Rise and Fall of Ziggy Stardust and the Spiders from Mars” before Hunky Dory reached hit status. The Release or The Release? 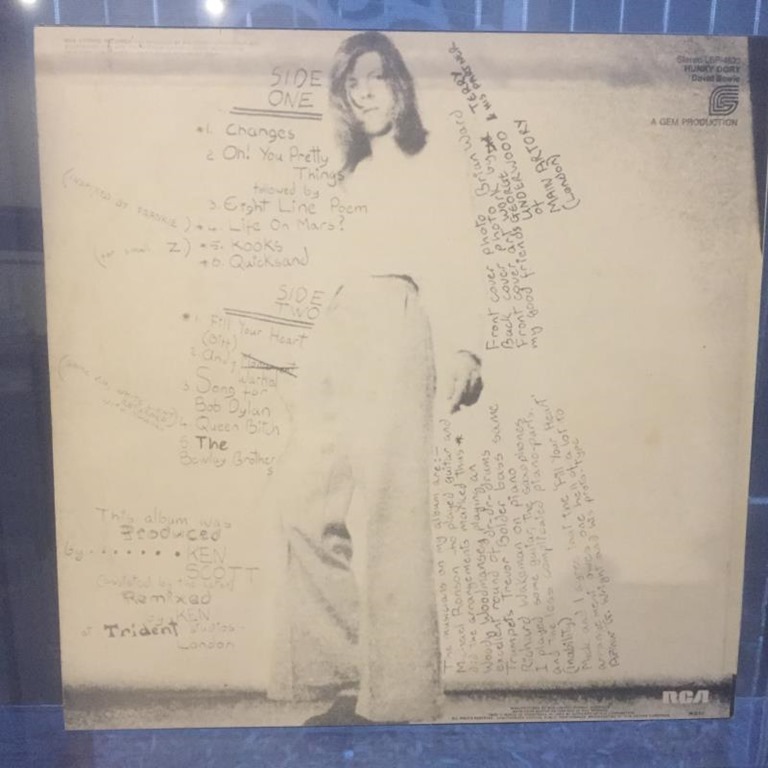 The album contains some of Bowie’s most accessible work, his subject matter reads like he has his heart on his sleeve, the melodies are mesmerizing, such as in the iconic “Life on Mars?”, and in the blended chorus of “Oh! You pretty things”. 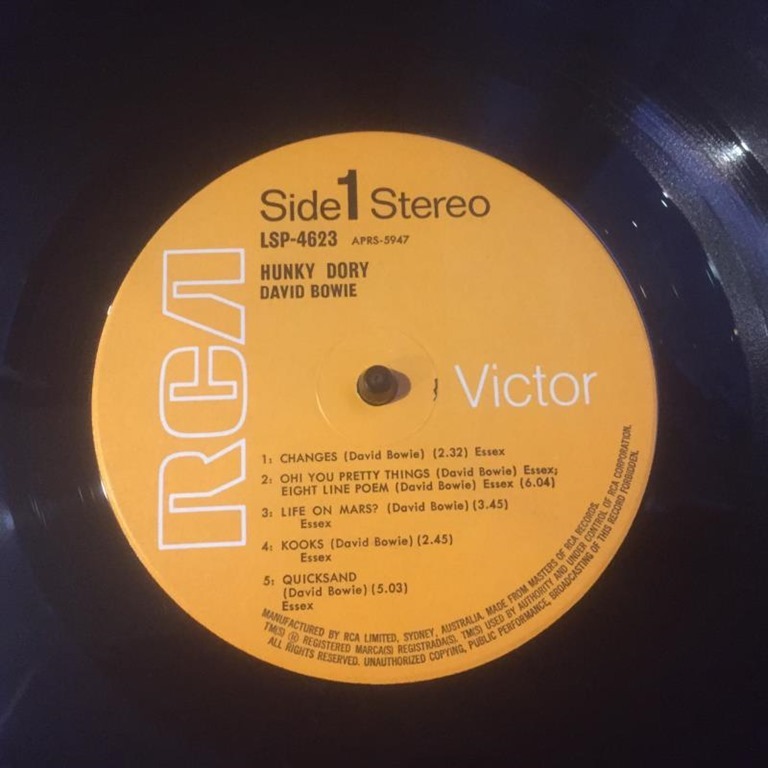 The Australian first pressing is even more obscure than the UK first edition in that it was released later (February 1972) and was probably a much smaller run of LPs manufactured. 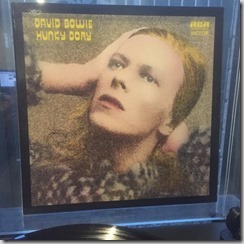 The album was extensively repressed not soon after, once Ziggy became a hit. 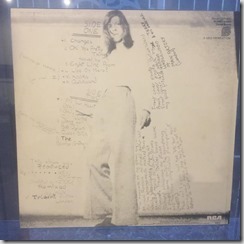 Finding a copy in decent condition is a serious challenge – the album cover was made from thin, cheap cardboard which was common at the time for less well known artists. 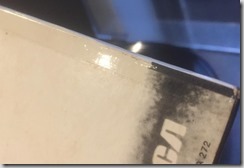 My copy is conservatively graded at VG+ for LP and cover, but both are very close to NM. 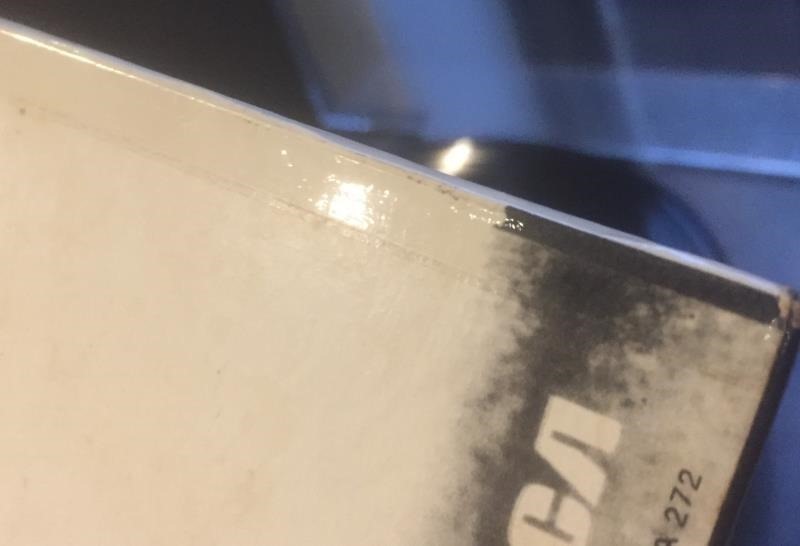 Proper first presses have a laminated cover which extends about 8mm onto the rear of the sleeve (see above). This is the only difference between a legitimate first pressing and a later repressing. 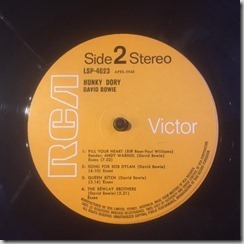 All songs published by Essex Music /Bowie except Track B1 published by Rondor Music (Ldn) Ltd.
Essex credits on label, with no mention of Mainman. Manufactured by RCA Limited, Sydney, Australia. Interestingly, my copy has a label which seems to be somewhere between this one and this early promo copy. 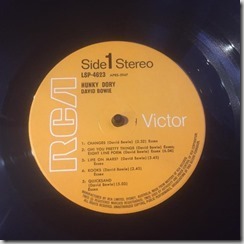 My copy has a label which features the small print very close to the “Essex” of track 5 (side 1) and track 4 (side 2). I’d say it was made just after the initial promo, but modified slightly before the final label was finalized.